Matthias Bernard Hildreth (ca. 1774 – July 11, 1812) was an American lawyer and politician. 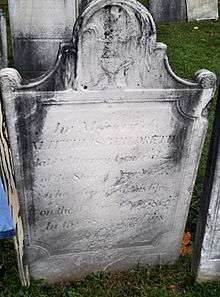 His family moved in 1797 from Southampton, Long Island to Johnstown, then in Montgomery County, New York, where his father James Hildreth (d. 1818) became judge of the Court of Common Pleas. Hildreth was a presidential elector in 1804, voting for Thomas Jefferson and George Clinton. On March 13, 1808, he married Ann Rust (ca. 1769-1821), and they had two children: James Tallmage Hildreth (1809–1857) and Catherine Mary Hildreth. He was New York State Attorney General from 1808 to 1810, and from 1811 until his death. He was buried at the Old Colonial Cemetery at Johnstown, N.Y.